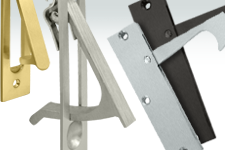 Founded in 1977, Deltana manufactures America's largest selection of architectural, window, door and cabinet hardware in over nine fine finishes made from solid brass, zinc, aluminum, steel and stainless steel. 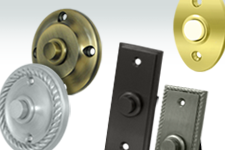 Deltana Hardware comes in a variety of brass, bronze, chrome, and black finish options. Custom finishes are available upon request.